Today, we were thrilled to have Esquire Magazine's Senior Fashion Editor drop by Vidicom's Sky Terrace Studios. 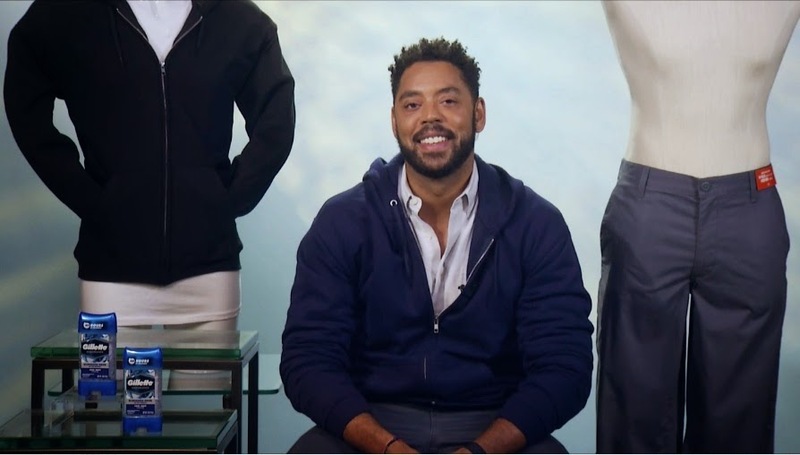 Wendell dropped by to share his picks for Fall's best looks for guys. Being on trend and looking stylish isn’t just for the ladies! Fall is here which means it’s time for guys to start getting serious about their fall wardrobes. Expert Wendell Brown stopped by to gives us some tips on how to look cool and chic this autumn! Wendell is the Senior Fashion editor at Esquire Magazine and has worked with Leonardo DiCaprio, Tom Cruise, Joseph Gordon-Levitt and more! Start with the basics. Hanes fleece hoodies are warm without being bulky, super soft and tagless for comfort and available for the whole family at mass retailers nationwide or at Hanes.com. Guys, stay cool and confident this fall with the help of Gillette Clear Gel Antiperspirant. With just two swipes of the dial and a quick 10 seconds of drying time, you can keep looking and smelling fresh all season long. The Vidicom team uses Gillette to stay cool and dry when meeting tough deadlines! For the guy on-the-go Dockers’ has the perfect piece for you. The Pacific On the Go Khaki is versatile and comfortable. Great to take from work to play, while looking classic and sharp. Sebastian, Vidicom's VP Sales, loves Dockers! It's always a pleasure to have Wendell around - he really brightens up the place with his effortless style. The boys on the Vidicom team are always happy when he comes around because they end up looking a bit sharper every time! Vidicom, obviously, is a huge fan of the native advertising strategy, and it seems like native advertising is here to stay!